Annmarie Skin Care > Skin Care Tips > How Should I Be Taking Care Of My Skin In My 40s? Your 40s are when things start to get a bit more challenging, so you’re going to need to adapt your skin care routine and lifestyle to help counteract the changes ahead of you. Despite any preventative measures you may have made up to this point, you can’t fight the inevitable age and hormonal-related changes—though you can make efforts to improve them. In your 40s, the skin’s elasticity decreases, sun damage becomes more prominent, and hormonal changes are on the upswing—it’s not uncommon for women to experience perimenopause, the precursor to actual menopause. The combination of hormonal changes and slower collagen production results in a change in the tone and texture of your skin. You may start to notice less volume and elasticity in the face and neck, and a modest hooding of the eyelids. Cell turnover rate is even slower than it was in your 30s, so you’ll have to work a bit harder to deflect a lackluster complexion. 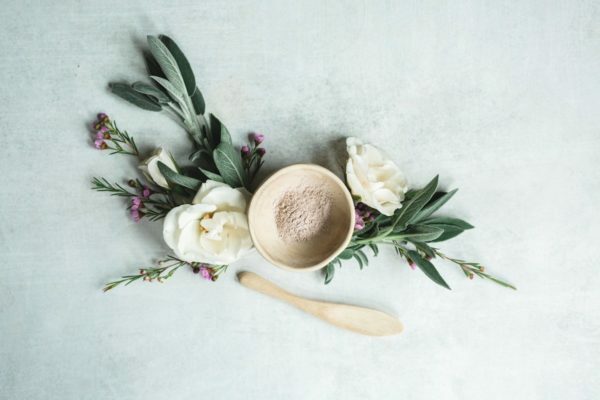 While these changes may feel a bit overwhelming, committing to an age-appropriate skin care routine while adapting to the changes your body is going through is the key to seeing results. Here’s how to take care of your skin in your 40s. You’re still going to want to do all of the same things you did in your 30s (from wearing SPF to using skin care products with anti-aging ingredients), but with a few tweaks. For example, your skin produces less sebum (oil) in your 40s, so it becomes more vulnerable to environmental stressors like the sun and pollution. Incorporate an antioxidant-rich serum into your routine to help ward off free radicals. Look for a formula that also has hydrating and collagen-boosting benefits, too—peptides and hyaluronic acid are two ingredient powerhouses. Your 40s are also a good time to integrate a retinol product into your routine. Research shows that topical retinoids (vitamin A) can help diminish the appearance of fine lines and wrinkles, effectively exfoliate, brighten and lighten your look, and inspire rejuvenated skin. While exfoliating should be a part of your skin care routine, in your 40s, you’re going to want to up your exfoliant game. As noted, the cells aren’t turning over as frequently, so you’re more susceptible to dullness. You should already have an exfoliant that’s appropriate for your skin type while being gentle enough to use on a frequent basis. However, that may not be enough. Incorporate a mild chemical exfoliant into your routine to normalize the skin’s moisture barrier, provide an instant glow, exfoliate, remove impurities, and ward off environmental stressors. At-home chemical exfoliants are often found in the form of solution soaked pads that you simply swipe over your face. While your younger years were more about prevention alone, your 40s are about prevention as well as treating specific skin care concerns that tend to surface at this juncture in your life. Seek out products that specifically target issues such as age/sun spots, uneven skin tone, collagen depletion, fine lines/wrinkles, and ruddiness. Your skin care regimen should not stop at your chin! Aside from gravity, neglect is one of the number one reasons why you get an aging neck. Sun damage comes in as a close second, and then there’s always genetics to consider. 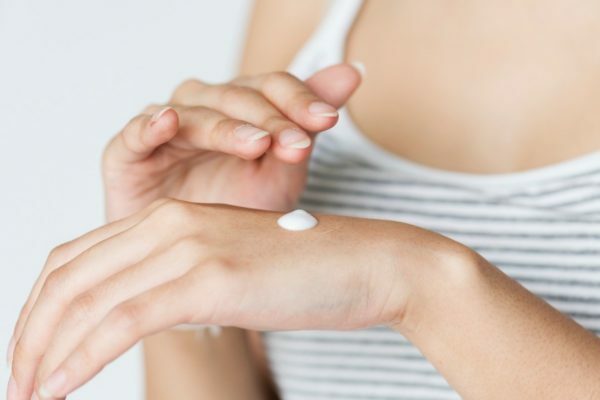 As a preventative and corrective measure, make sure you apply your SPF, serum, moisturizers, and any other applicable face product to your neck as well. While nothing replaces a balanced diet, there is a place for supplements providing they are not abused—consider consulting your doctor before starting anything new. Collagen supplements can provide the skin with necessary proteins that are lost as production—and elasticity—declines with age. Omega-rich fish oil can help support symptoms (read: hot flashes) associated with perimenopause. As with your 30s, peels are still a great idea if you want to bring a brighter, more even look to your face; reduce the appearance of dullness; firm and tighten your look; minimize the appearance of large pores; and improve the appearance of your skin tone. Not to mention, there are herbal, organic, and enzyme peels available to compliment an organic or non-toxic lifestyle. However, the same mild peel you used last decade isn’t going to cut it at this juncture. Talk to a licensed professional about what strength peel is best for you. LED treatments help treat acne breakouts (think redness and inflammation), scarring, and skin conditions like rosacea; smoothing fine lines and wrinkles, evening out the skin tone, and reducing pore size. It’s non-invasive and pain-free ,which is one of the many reasons why it’s so desirable. The blue light is used to kill the bacteria that causes acne, clogged pores, and whiteheads while the red light stimulates collagen production, tightens and firms your look, and reduces pore size. It’s been know to plump up those hard-to-treat areas that botox cannot completely treat—like crows feet, for example. This procedure is used to stimulate the production of collagen and elastin on the face and body. While gentle lasers are effective in your 20’s and 30’s, more aggressive laser treatments render more results in your 40s, particularly if you’re trying to reduce the appearance of fine lines and wrinkles. You may have less motivation to exercise now than you did in the past, but you need physical activity now more than ever—not only because your metabolism has slowed down, but because it can help you reverse some signs of aging now, and down the road. Take the stairs, walk on your lunch break, get a workout buddy, make a conscious effort to get up from your desk every 30-minutes…whatever it takes, squeeze it in. Research suggests that women are three times more likely to suffer from anxiety, stress, insomnia, and depression the five years leading up to menopause due to the loss of vital progesterone needed to calm and stabilize your adrenal response system. With that said, make time for vital self-care—even if that means having to schedule time for yourself. Even 20-30 minutes a day can make a difference, but self-care also means eating a balanced diet and getting enough sleep. Bone loss increases as estrogen production decreases—it’s also not uncommon to see more significant signs of aging, too. Encourage bone and skin health by eating whole, calcium-rich foods such as yogurt, sardines, lentils, almonds, seeds, some leafy greens, cheese, canned salmon, and milk. How do you tackle skin care in your 40's? Let us know in the comments below. I’d like to clarify my diet and exercise tips. I only strength train for four days because any more would be too much for me. And the amount of protein is based on one’s weight (you can search for the amount online). The bottom line: feel good and it will show on the outside. I’d love to hear what products you have that can tackle aging skin in our 40s! I enjoyed the thorough review…. but would love to see further information on the products you have that would tackle each concern!!! Thank you!